London’s No.1 Hip-Hop and RnB party is taking over West London! 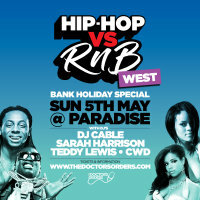 Alongside our monthly residency The Doctor’s Orders Hip-Hop vs RnB party is taking over the May Bank Holiday Sunday. 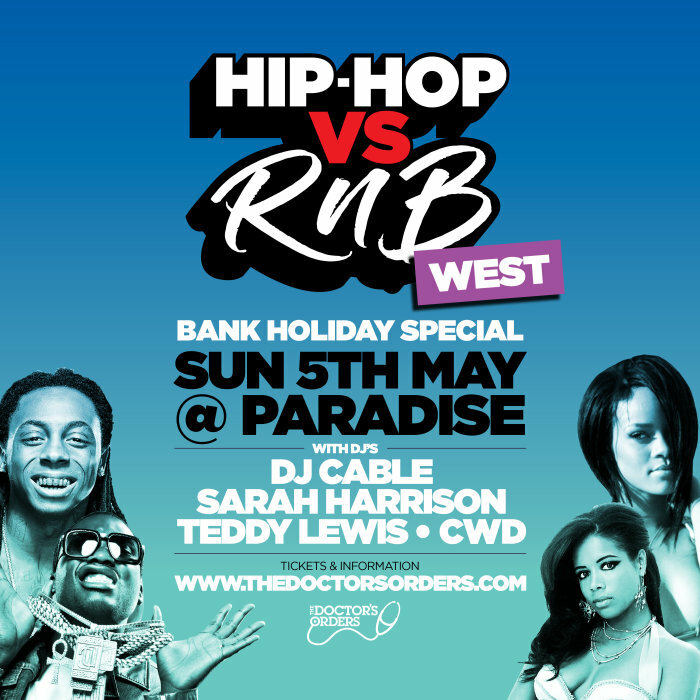 Some of London’s best DJs will be bringing the heat as 1xtra’s DJ Cable and Rinse FM’s Sarah Harrison hold things down in the Hip-Hop room while the incredible Teddy Lewis and CWD keep it all RnB in the bar.